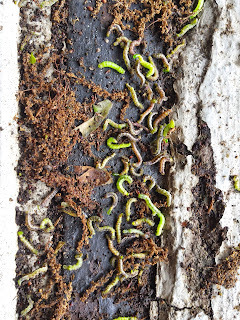 In the Charlotte, NC Metro area we have a big problem with cankerworms. These inching little menaces emerge every spring to wreak leaf consuming, poop raining havoc on the populous. Treatment for these wringing pests comes, usually, in a few forms. Banding in the fall and early winter to capture flightless females on their trek to mate high in the canopies of trees, and foliar spraying once the chomping little caterpillars have hatched. Both of these methods have their pros and cons. Bands certainly do not catch every female, and in the spring newly hatched cankerworms can easily blow from trees not banded to banded trees. Foliar sprays to control the munching larva have their own host of issues, namely getting adequate coverage on 60 - 100 feet tall trees is tough even in the best of conditions. It is debatable how much damage is done to trees defoliated by cankerworms. In most instances, defoliated trees create a new full canopy by the end of May/beginning of June. This allows trees almost a full season of photosynthesis to create the energy they need and build reserves. And hey, a few weeks of additional sunlight helps out the grass, and all of that worm poop hailing down is like free fertilizer, so look on that bright side. 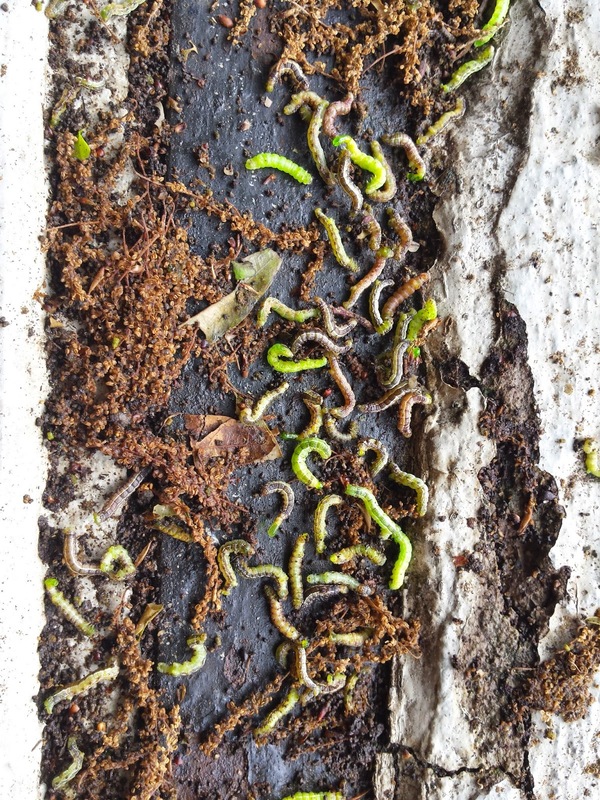 Outside of being a tree pest, cankerworms can be a real nuisance. They are constantly falling from trees attached to silk threads, and of course all that pooping. This can make for an uncomfortable experience if your back yard is completely covered by the canopy of large trees. My house has 2 large (+50-inch DBH) willow oaks in the rear yard. 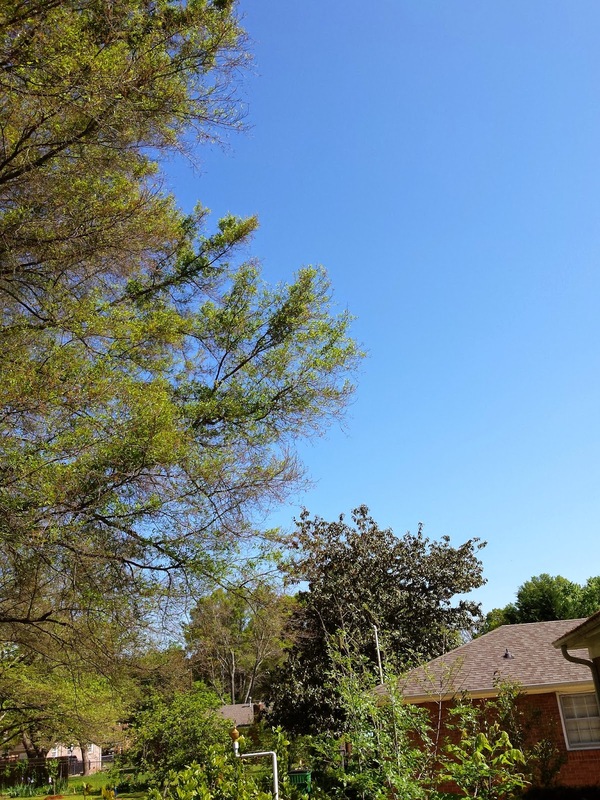 Two years ago the cankerworm population was high enough to defoliate both of the trees by the 1st week of May. Last year I put bands on the trees, specifically the Bug Barrier product, only to have squirrels rob the bands of the fiber used to help catch climbing females. 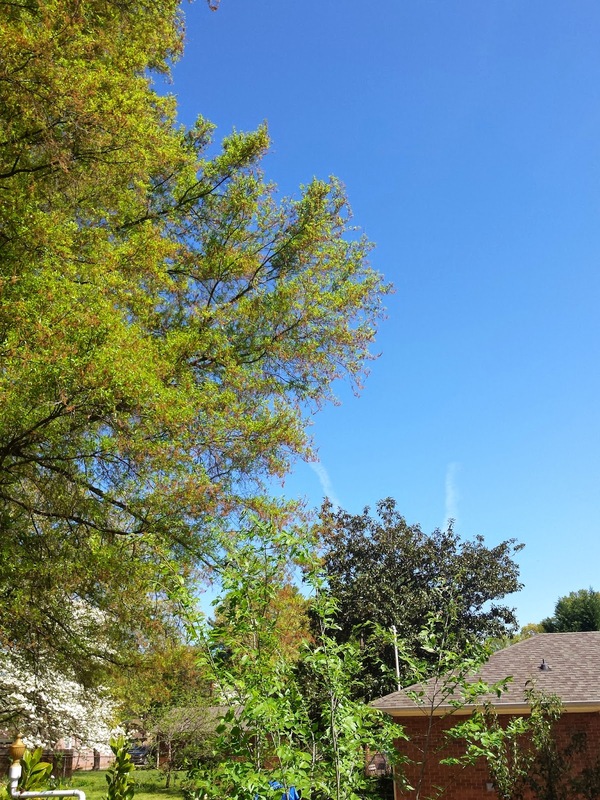 Once again my trees were defoliated, minus what I could reach with a foliar spray of Conserve (active ingredient spinosad). This year I am opting for a new strategy. Soil injection with Lepitect (active ingredient aceaphate). Lepitect has shown great results on a host of tree pests. It works fast to get in the tree, and has a residual of only +/- 30 days. I like the idea of a short residual because I don't want to kill other caterpillar species that emerge later on in the season. But here is my question, will Lepitect work well on large trees with high populations of cankerworm pests? Hence the penning of this article. The 1st cankerworm is spotted. Willow oak leaves just beginning to break bud and expand. 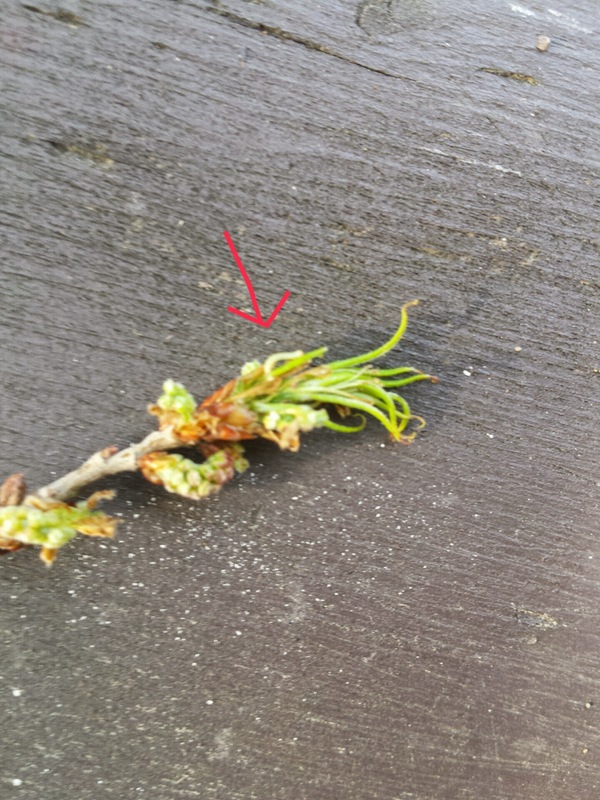 Signs of dead cankerworms falling from trees. Approx. 18-days after emergence, and 11-days after treatment. Once again, a very high population of cankerworms are affecting the trees. Significant amount of dead cankerworms falling from the tree. Peak cankerworm feeding has concluded. Once again the cankerworm population was very high on the trees in my backyard. Because some leaf feeding is required for the insects to be exposed to the product, we expect a certain amount of defoliation. Inevitably, with instances of very high pest population we will have more leaf matter consumed. All said and done, there was probably 40%-50% canopy defoliation when using the Smitley Scale for Defoliation. This sounds high, but is much better than the fully defoliated trees I had the two previous years. Additionally, the product is no longer present (or at least should no longer be present) with in the tree or the soil, so any benign leaf feeding arthropods or soil dwelling organisms should be allowed to go on with their natural life cycles. I would have liked to make the application a week earlier, but my equipment for making the application had yet to arrive. One wonders if the product had a week longer to move in to the tree, would the defoliation been less? 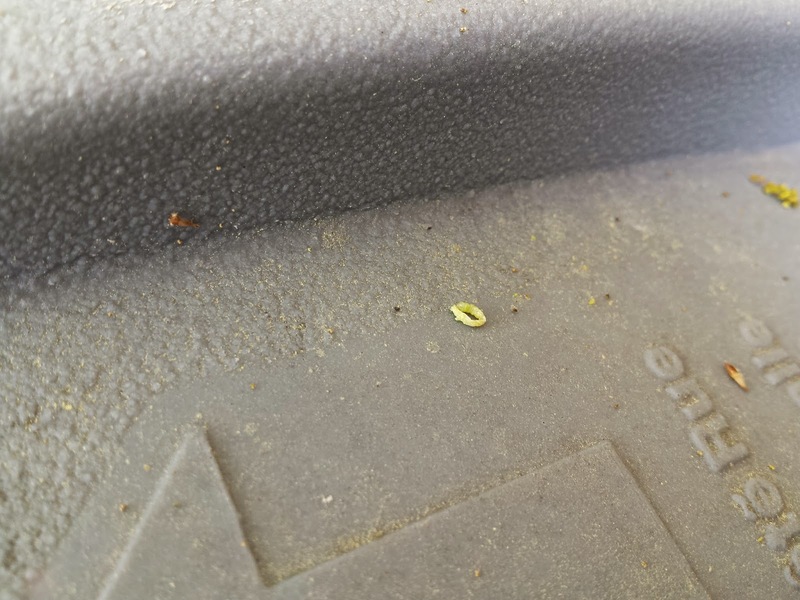 There were a significant amount of dead cankerworms falling over the course of three weeks. Will this hammering of this years population have any effect on next years population? It has been noted that the fiery searcher beetle was in greater numbers the past two springs. These beetles are voracious predators of caterpillars and especially cankerworms. Did these predators significantly reduce, or aid in the reduction, of the cankerworm population that in turn lead to the decrease in defoliation noted from last season?